Reagan grew up in small-town Illinois. After fulfilling his initial ambition to be a radio sports announcer, he went to Hollywood and became a popular B-level actor. When his film career waned, he worked on television. Reagan’s presidency of the Screen Actors Guild piqued his interest in politics, and although he had been a Democrat for much of his life, his increasing attraction to a conservative orientation during the 1950s drew him to the Republican Party and, in particular, to its Conservative wing. In 1966, he defeated the popular Democratic incumbent Pat Brown for the governorship of California and served two terms. He was nominated as the Republican presidential candidate in 1980, then easily defeated incumbent Jimmy Carter. Reagan’s was an affable, optimistic White House presence, which exuded a confidence reminiscent of Franklin D. Roosevelt. He introduced a new patriotism and a new approach to the economy, which favored business, cut taxes, and diminished the welfare state. 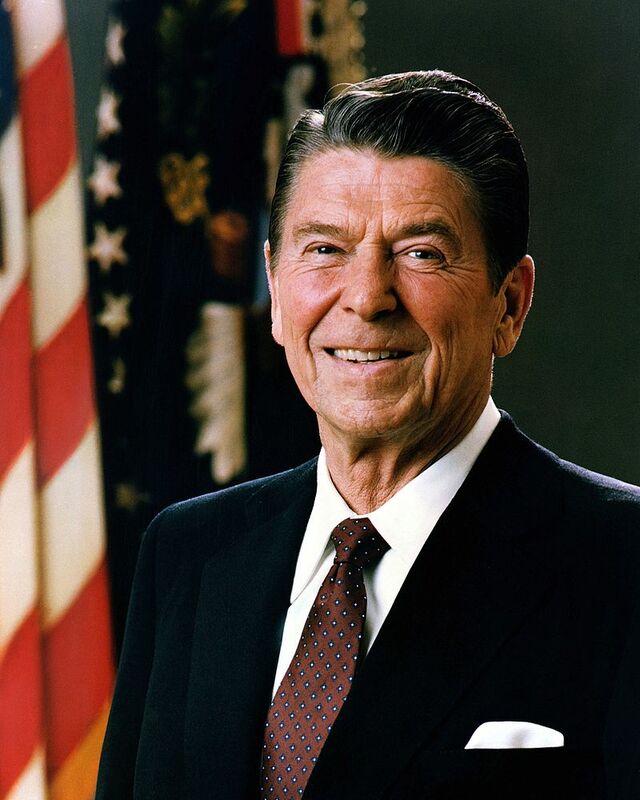 In foreign policy, Reagan was widely credited with bringing about the downfall of Soviet communism.